Over a decade ago, I was introduced to a woman named Jacki Rickert. She wasn’t the first person to come into my office advocating for the legalization of medical marijuana — that was Gary Storck — but she made a lasting impression. By the end of the meeting she was in terrible pain. Unable to walk or sit comfortably in a wheelchair, her friends and fellow advocates actually lifted her out the window of my ground-floor office into a vehicle waiting to take her home. She was a pioneer in the movement to advance the cause of medical marijuana. Interest in producing hemp, the non-psychoactive cousin of marijuana, is growing in Wisconsin. 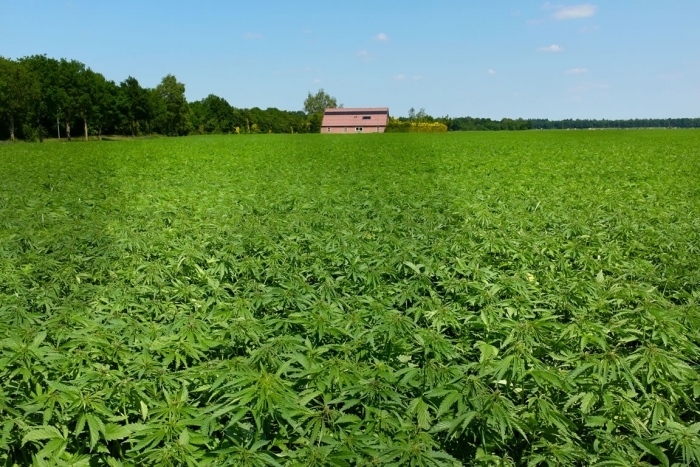 Willie Hughes was one of the Wisconsin farmers growing hemp legally for the first time in about seven decades, and he wanted his crop to thrive. Growing hemp carried uncertainty. What care did it need? How is it harvested? What’s its legality, considering the federal government still classifies it as an illegal substance? Many curious farmers chose to stay on the sidelines and not grow hemp this year. They wanted to see how others handled it before jumping in. Hughes put extra pressure on himself. More than a dozen counties around Wisconsin will ask a question about the legalization of marijuana on the ballots in November. The counties are asking different questions, but they are all advisory referendums, meaning they don't require the state legislature to take action. "It's really just sending a message to the state that the citizens want to see a change in the law," said Dane County Clerk Scott McDonell. In Dane County, the question on the ballot is, "Should marijuana be legalized, taxed and regulated in the same manner as alcohol for adults 21 years of age or older?" The fall campaign for cannabis, aka marijuana, will soon be visible in more than a dozen Wisconsin counties as volunteers put up yard signs and knock on doors. Voters in 16 counties and two cities will find marijuana use referendum questions on the Nov. 6 general election ballot. All are advisory referendums and do not require the Legislature to take action. But responses of voters will provide marijuana legalization activists with a measure of public opinion that they will use to encourage lawmakers to relax or eliminate current prohibitions on pot.